Save $650 on the Degreemeeter from the Jardur Watch Co. This year the Jardur Watch Company is offering a 20% holiday discount on its premium, Degreemeter model. The Degreemeter is the first aviation chronograph launched under the revitalized Jardur Watch Company, the Degreemeter, pays homage to the original World War II era Bezelmeter 960 while incorporating all of the advancements in materials, manufacturing methods and design features which comprise state-of-the-art watchmaking. This watch features a degreemeter, unelapsed hours meter, integrated chronograph, date display and non-reflective crystal making it the ultimate pilot's timepiece. 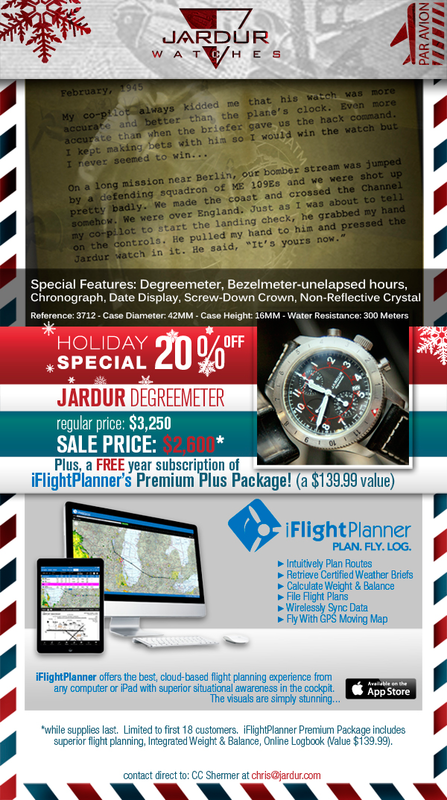 The $650 savings is available only to the first 18 customers, and included with the purchase of each watch is one (1) year of iFlightPlanner Premium Plus, an additional $139.99 value! 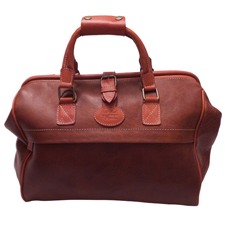 Visit the iFlightPlanner Shop for more details! 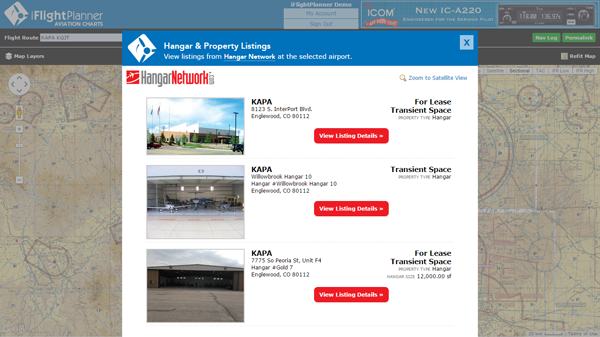 iFlightPlanner, located adjacent to the Ann Arbor Municipal Airport, is now hosting the LiveATC feed for KARB! The LiveATC network, availabe online at LiveATC.net or through iPhone and Android apps, is the world's largest network of streaming audio feeds focused solely on aviation-related communications, currently covering over 800 airports around the world with over 900 different audio feeds and growing daily! One of the best resources for improving your radio skills is to listen to LiveATC.net. iFlightPlanner is proud to have partnered with LiveATC to make feeds avialable directly via our Airport/Facility Directory. Brought to you by MyGoFlight, this video shows you how to take advantage of a discount that is available through IMC Club's relationship with iFlightPlanner. 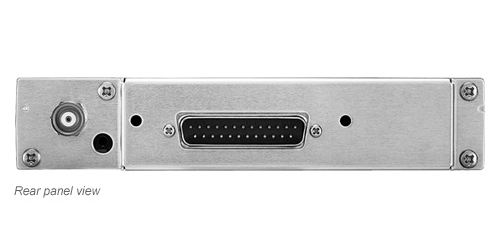 It is also designed to get pilots to think about redundancy concerning their iPad EFB. A pilot should always have a plan B for the unexpected. 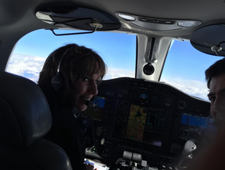 Future Quick Tips will focus on ways pilots can fly more safely using today's technology. 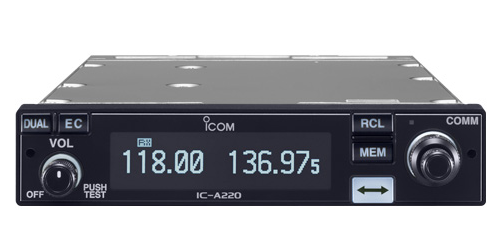 For more information on the IMC Clubs and their mission of helping pilots master the art of instrument navigation, visit their website at http://www.IMCclubs.org. 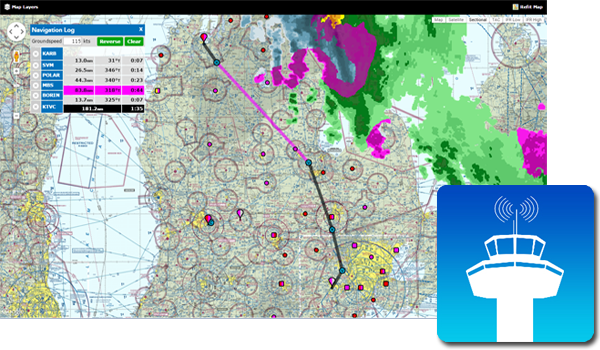 Now Arriving, iFlightPlanner for iPad v2.2! iFlightPlanner for iPad v2.2, featuring the comprehensive set of georeferenced FAA airport diagrams and instrument approach procedures, is now available for download from the App Store! 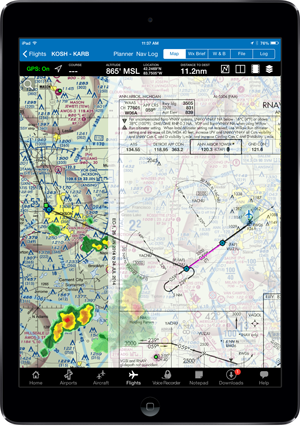 As part of this release, the iFlightPlanner Crew developed its own, proprietary georeferencing process so that when viewed as standalone documents, iFlightPlanner for iPad could provide the georeferenced airport diagrams and approach procedures in their original PDF format - fully leveraging the pinch and zoom capabilities of the iPad with crystal clear readability at any zoom level. 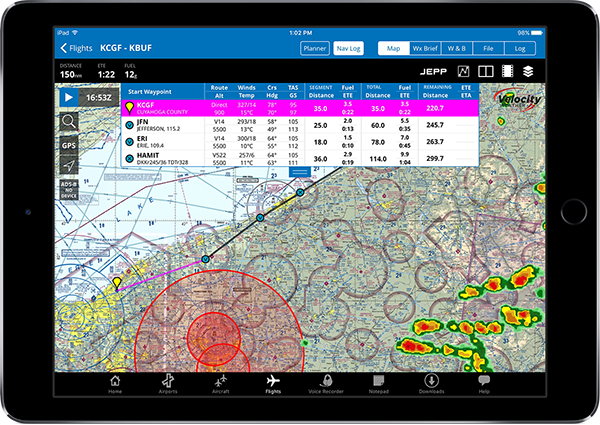 The georeferenced functionality is accessible throughout iFlightPlanner for iPad presented by Sennheiser, including its split-screen view, and can be easily placed over iFlightPlanner’s seamless VFR and IFR charts with a single tap of the "Map It" button. 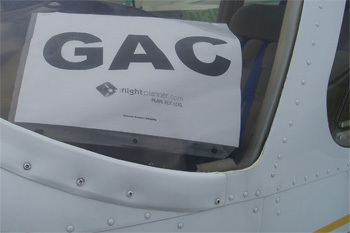 Pilots can then use the intuitive mini-menu to quickly search for and switch between other diagrams or approach procedures and adjust the transparency of each. Anytime you see the aircraft icon in either the Airport/Facility directory or mini-menu (as shown above), that document is available to you as a georeferenced product when GPS is enabled on your device. 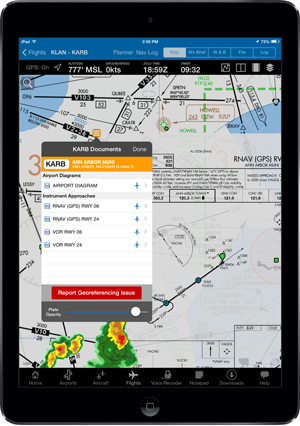 All georeferenced airport diagrams and approach procedures are available to iFlightPlanner Premium Plus members, a new membership level introduced to give pilots flying with iFlightPlanner for iPad greater functionality. Premium Plus annual memberships may be purchased for only $119.99 through August (reg. $139.99). Current iFlightPlanner Premium members who wish to upgrade to iFlightPlanner Premium Plus and prorate their existing membership may contact us for details! 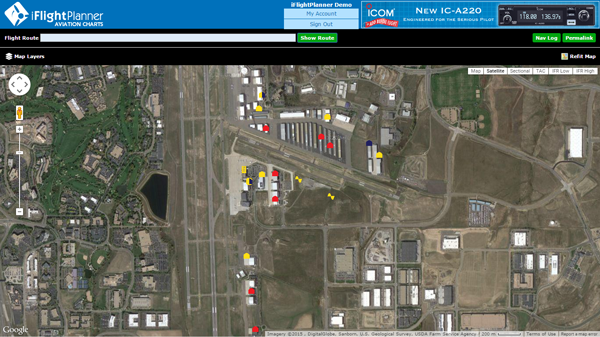 Airports without an official FAA airport diagram will now show the A/FD page in the upper left thumbnail area. When viewing approach plates, we improved the usability of the timer by enlarging the tap area to open the timer and preventing the timer from moving up or down when the toolbar is hidden. iFlightPlanner for iPad will also now remember whether you last had the timer open or closed. You may now change the opacity of the RADAR and Satellite overlays. Simply tap the View/Split Screen Settings button above the map and move the slider. You may also save your default setting for future use! 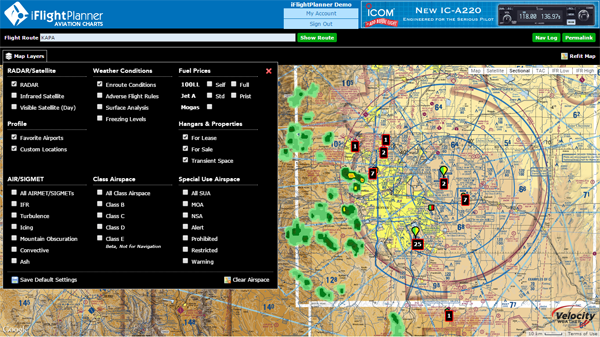 We added an additional native zoom level to both the TAC and IFR Low charts tiles to enhance the readability when zooming in. Unselected download types now will show as 50% transparent so that you can easily see which downloads will be performed when you tap "Download Updates." 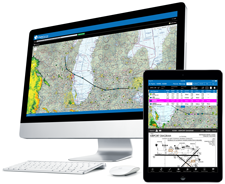 Our flights are planned and we're ready to depart for AirVenture 2014 with an exciting new version of iFlightPlanner for iPad presented by Sennheiser in tow! iFlightPlanner is proud to support the AEROSTARS formation aerobatic team, who will be dazzling audiences at AirVenture at speeds over 250mph just a few feet from one another through breathtaking barrel rolls, graceful formation loops and dramatic opposing maneuvers. Like us on Facebook and follow us on Twitter to find out when you can meet the team next week! 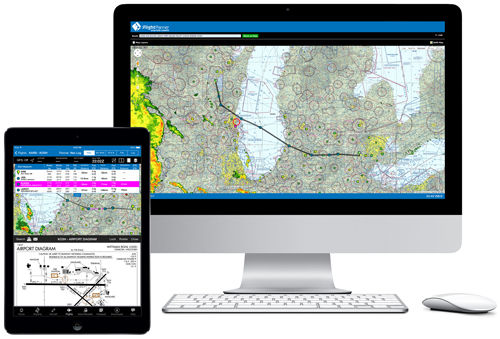 We appreciate your continued support of iFlightPlanner, travel safe and we will see you in Oshkosh! ZULU Time by The Jardur Watch Co. The iFlightPlanner Crew will be in Hangar B this year, Booths 2028 & 2029, just to your right as you walk in the main hangar door. Our expanded presence will allow us to show you all the latest features that are soon to be released to make your iFlightPlanner experience the best yet! LOOP Aviation Magazine, iFlightPlanner Partner and the #1 General Aviation iPad Magazine Worldwide is asking a few minutes of your time, to learn about you, so that they can continue to deliver the best digital aviation journalism there is! The survey is completely confidential and the results will help LOOP paint a picture of who is reading and, just as importantly, allow them to inform advertisers who their audience is. This doesn't mean more advertising in LOOP, but attracting new advertisers and strengthening existing relationships is key to their ability to deliever LOOP at no cost to you, every month! Jardur Watch Company President CC Shermer will gift Mr. Julian Russo, World War II Veteran and Curtiss SB2C Helldiver gunner, a vintage Jardur watch in honor of his service and commitment to our country this fall. Mr. Shermer and Mr. Russo became acquainted in April when Russo phoned Shermer regarding a Jardur watch he wore throughout his service during WWII. During the conversation, Mr. Russo explained that he purchased a Jardur tool watch during the war at a U.S. Navy Ship Store. He stated, “I loved my watch. It served me well over Iwo Jima... I just wish I still had it.” Russo went on to explain that someone took it from a bathroom wash basin sometime after the war. Shermer noted that Russo was still very upset over the loss of the watch. “When he spoke about his Jardur, he sounded like someone reflecting on an old friend,” said Shermer. 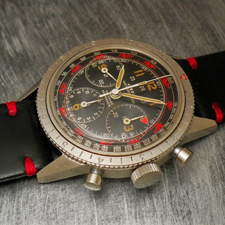 Russo expressed that he would love to find and wear another Jardur watch again, and that sent Shermer into action who reached out to his network of watch collectors and found a vintage Jardur, the same model as Mr. Russo’s lost watch. “I think it will be awesome to present Julian with a vintage Jardur tool watch like the one he wore over Mt. Suribachi. Hopefully, this gift to Julian will be the ultimate ‘Thank you for your service!’” added Shermer.